Musical Ecologies continues Thursday November 10th with Los Angeles-based pianist Vicki Ray. A leading interpreter of contemporary piano music, Ray is known for thoughtful and innovative programming which seeks to redefine the piano recital in the 21st century. Making a rare New York appearance, Ray will present a one-hour program exploring different approaches to the short form, with works by John Cage, Joseph Periera, György Kurtág and Chinary Ung. The evening will begin with a conversation hosted by series curator Dan Joseph, and a reception will follow. Described as “phenomenal and fearless,” Vicki Ray is a leading interpreter of contemporary piano music. Known for thoughtful and innovative programming which seeks to redefine the piano recital in the 21st century, Vicki’s concerts often include electronics, video, recitation and improvisation. 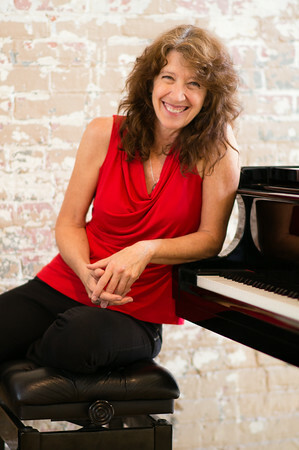 As a founding member of Piano Spheres, an acclaimed series dedicated to exploring the less familiar realms of the solo piano repertoire, her playing has been hailed by the Los Angeles Times for “displaying that kind of musical thoroughness and technical panache that puts a composer’s thoughts directly before the listener.” Recent recordings include David Rosenboom’s Twilight Language on Tzadik Records and Feldman’s For Piano and String Quartet with the Eclipse Quartet on Bridge Records. Her 2013 recording of Cage’s The Ten Thousand Things on the Microfest label was nominated for a Grammy. Ms. Ray’s work as a collaborative artist has been extremely diverse and colorful, as a member the California E.A.R. Unit and Xtet, chamber music appearances on the Dilijan, Jacaranda and the Green Umbrella Series, regularly performances on the venerable Monday Evening Concert series, as well as major solo roles with the Los Angeles Philharmonic, the Los Angeles Master Chorale, the San Francisco Contemporary Music Players, and the Blue Rider Ensemble of Toronto, with whom she made the first Canadian recording of Pierrot Lunaire. She is currently head of the piano department at the California Institute of the Arts, where she has been on the faculty since 1991, and for the past eight years she has served on the faculty at the Bang on a Can summer festival at the Massachusetts Museum of Contemporary Art. Comments closed — Trackbacks closed RSS 2.0 feed for these comments This entry (permalink) was posted on Friday, October 14, 2016, at 12:14 pm by Dan Joseph. Filed in press release.